In 2013 World Vets responded to the devastating Typhoon Haiyan in the Philippines with veterinary supplies, financial support and an on the ground disaster relief team. Thanks to your support, we were able to provide aid to hundreds of animals and changed the lives of many community members affected by the disaster. 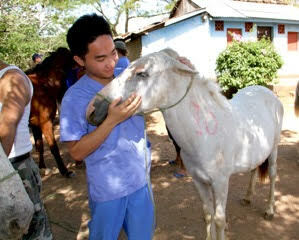 One local, Calvin Chinghita, was so inspired by our efforts that he enrolled in veterinary school and recently participated in World Vets International Veterinary Medicine Program in Nicaragua. World Vets is proud of Calvin’s work & compassion towards animals. We are happy to showcase Calvin as this month’s Volunteer Spotlight and wish him luck as he continues his training to become a veterinarian! A: I was born with a passion for animals, science and medicine. I’ve had pets all my life and am currently living with 8 dogs and several other pets. I volunteer with rescue organizations here in the Philippines and around Asia. I had the privilege to provide basic veterinary care to rural mountain tribes in the Philippines, where animals don’t receive any veterinary care at all. A: I love traveling alone. 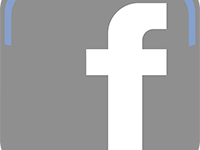 A: I love that World Vets responds to international crisis, providing veterinary services to people who can`t afford care for their pets while training aspiring veterinarians. A: Three years ago, Super Typhoon Haiyan (Yolanda) struck my country. Haiyan was one of the strongest tropical cyclones to hit anywhere in the world in recorded history. While the government and international community prioritized the immediate needs of people, most animals were deprived of medical care and left to fend for themselves, injured, traumatized and starving. World Vets immediately responded to the crisis and sent a disaster response team. I told myself that I need to become part of this organization. I wanted to be surrounded with people on the same mission who are genuinely passionate about the field of veterinary medicine. A: Working with people who provided me with the kind of education that I deserve, instructors who are willing to teach me, mentor me and push me to thrive for more. Someday, I will train others like how World Vets has trained me. It was an overwhelming experience. I am finally equipped with numerous skills that I’d need to save animals and help me excel in this profession. I will forever be grateful.